Serving the Algonquin/Lake in the Hills area since 2006! Want a little slice of the windy city right here in Algonquin? Come on in and see what we're all about! 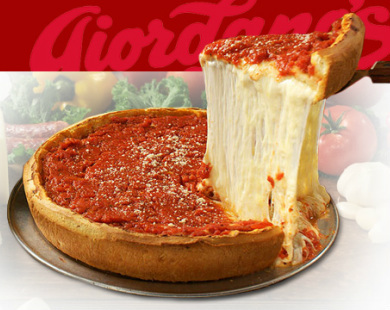 Giordano's Famous STUFFED Pizza (or not-less-famous thin crust pizza) is located right around the corner! Please come in and join us for lunch or dinner, or have us deliver or carry-out!